A corio table is best way to manage belonging at your home in stylish way. 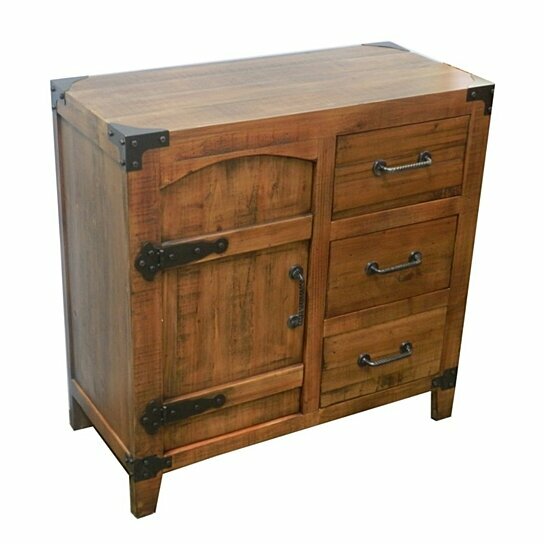 This corio table has one small cabinet with three drawers. The drawers and the cabinet have enough space inside to keep various things. Made from good quality wood it is well built and long-lasting. It will thus remain in pristine condition for a long period. This table looks vintage due to the metal work. This will look stunning in the drawing room, kids room, kitchen etc.